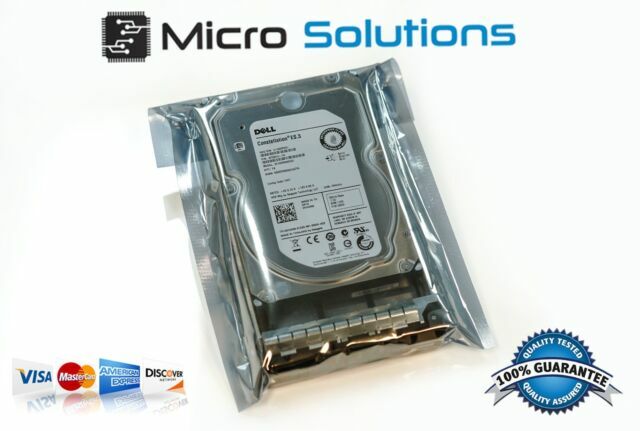 Designed for enhanced storage solutions, the 146 GB Dell GX198 is a 15000 RPM drive suitable for Dell PowerEdge servers and PowerVault storage arrays. With a serial attached SCSI interface, you can enable external data transfers at speeds of up to 3 Gbps, making this Dell internal HDD ideal for businesses with substantial storage, back-up and archiving demands. With a 16 MB cache memory, the Dell GX198 lets you search and retrieve stored records within seconds. This 15000 RPM drive has a 3.5-inch form factor, enabling it to be used in desktop computers. Being hot-swappable, the Dell GX198 enables you to replace the drive in your system in case of a drive failure, with zero downtime. Working fine in a Dell server hardware RAID 6 array. It hot-swapped in with no issues. Considering I spent twenty bucks on this used drive, I'd call it a good value.